River City Art Association just recently learned that Steve Harrold received top honors in the Fine Arts Department competition at the Vigo County Fair in July. Congratulations – better late than never – to Steve Harrold of West Terre Haute! 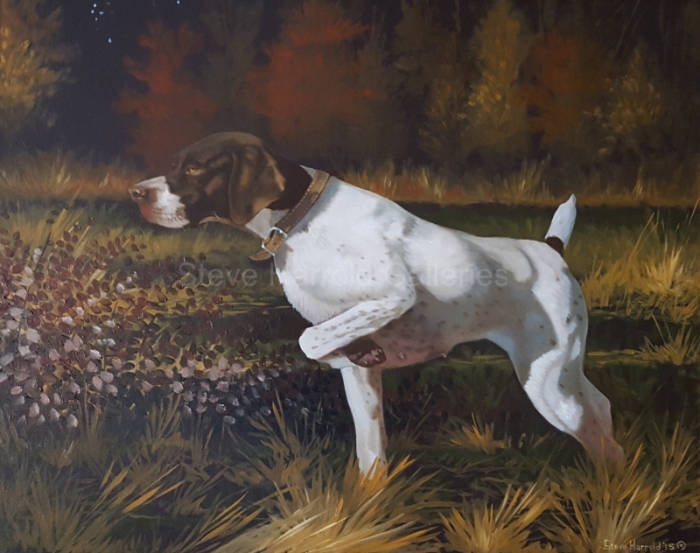 Steve specializes in sporting dog portraits and wildlife art. Visit his website at steveharrold.net. This entry was posted in Member News and tagged Best of Show, dogs, Fine Arts, painting, River City Art Association, Sin City, Sin City Slick Spot, sporting dog portraits, Steve Harrold, Terre Haute, Vigo County Fair, Wildlife, wildlife art. Bookmark the permalink.